Q. 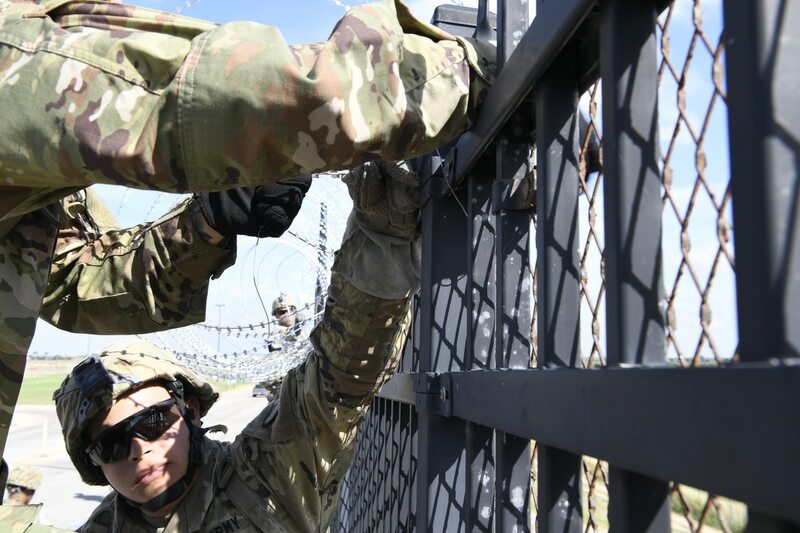 Are the troops being deployed to the border getting imminent danger pay? Imminent danger pay is paid to members on duty in foreign areas, designated as such because of wartime conditions, civil war, civil insurrection, or terrorism. Members who are deployed in support of the Department of Homeland Security’s border mission are not eligible for imminent danger pay. Alternatively, hostile fire pay is paid when military members are subjected to hostile fire or are on duty in an area in close proximity to a hostile fire incident and the member is in danger of being exposed to the same dangers actually experienced by other service members subjected to hostile fire or explosion of hostile mines. Bottom line from DoD: The military will not receive combat pay or hostile fire pay as troops are not deploying to a combat area, nor are they expected to be subject to hostile fire. Q. What about separation pay? Members with dependents, including those in support of the border mission, who are deployed away from their dependents (and their permanent duty station) for more than 30 days are eligible to receive family separation allowance retroactive back to the first day of the separation at the rate of $250 per month. Family separation allowance provides compensation for added expenses incurred because of an enforced family separation. Q. What about TDY pay? a. Service members may be eligible for travel allowances on a temporary duty (TDY) when performing operational activities. b. Traveler ordinarily receives reimbursement for the transportation [to and from the official location]. - If government travel is provided, then member will not receive reimbursement for travel. c. Traveler will receive per diem (daily) allowances to cover lodging and meals. - Reimbursed for lodging is based on the traveler’s TDY location; if government quarters are provided, no reimbursement is required. - Meals and Incidental Expense (M&IE) is a daily allowance based on the traveler’s TDY location. - When all meals are provided at no cost to the traveler, then “Incidental Expense only” applies. Q. When was the official start of the deployment? The request for military support was to be in place no later than Oct. 30, 2018.